First, you can find participating providers by using the "Provider Search" page on this website or by calling 1-800-290-0523. 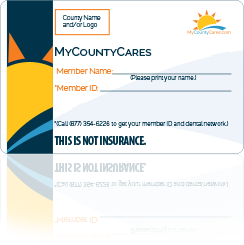 After confirming the provider's continued participation when making an appointment, members just show their membership card at the time of service. Members are responsible for paying all fees directly to the provider. What provider can I go to? You can find participating providers for the savings plan by visiting the "Provider Search" Web page on this website or calling 1-800-290-0523. If you need additional cards for your household, or have lost your card, please call Member Services at 1-800-290-0523. We will be happy to send additional cards to you. Your statement will have a charge from "Careington International Corporation" for the purchase amount of your plan. Please submit all issues in writing, including a copy of your bill. You may fax them to 1-800-247-4450, or you may mail them to Careington International Corporation, Attention: Member Services, 7400 Gaylord Pkwy, Frisco, Texas, 75034. Call Member Services at 1-800-290-0523 for assistance. The provider will recognize the name of the network with which they participate, so when you call, it is important to use the name of the correct network.